Nursing Informatics vs. Medical Informatics: What’s the Difference? There is a lot of interest in the ways technology enhances the medical field. And with good reason as technology does play a significant part in improving modern medicine. The advanced and much improved way of managing medical and health information technologically is often referred to as informatics. There are different areas of focus within the study informatics. Not all health informatics careers follow the same paths. Two of the common types of informatics you encounter could be either nursing and medical informatics. While the two are related, they are not exactly the same. Understanding the differences can help you choose an informatics career path that better suits your skill set. Medical informatics represents the way that computer science, information science and health care come together to optimize the complete medical system. Medical informatics allows health care professionals to more easily access and analyze patient information. The use of modern technology has proven to be the most efficient way to organize the different aspects of a patient’s medical history. Medical informatics creates a clear information snapshot that is easily accessible. This provides patients and their health care providers with a more comprehensive picture. Medical informatics seeks to integrate medical records with what is going on with the patient right now. The idea is to help send uniform information more widely. The architecture of medical informatics updates medical records in real time. This creates electronic medical records that can be easily accessed. Different physicians and members of a health care team can readily access the patient’s most current information. It is also possible to combine biological information with computer science and information technology. Medical informatics makes it possible for machines to connect with each other. This means that heart monitors and other vital monitors transmit real time information. Images from MRIs and X-rays can be shared instantly and with no need to go to the lab. Lab results are also conveyed quickly to health care providers in other hospital or clinic locations. Medical informatics creates a system that lets information flow freely and be readily accessible. Another aspect of medical informatics is the use of mobile devices to help enhance patient care. This includes mobile phones, tablet PCs and mobile medical stations. Doctors, nurses, lab techs and other health care professionals are able to interact with each other quickly and easily with the help of their mobile devices. Medical informatics makes it possible to instantly acquire information so that decisions made at the point of necessity are based on the most currently available facts. Diagnostic tools are part of the mobile medical informatics architecture and available to aid care providers. Nursing informatics is a narrower, specialized field within the wider medical informatics. The focus of nursing informatics is to use technology to enhance patient care and nursing practice. Nursing informatics represents the ways that nurses utilize technology in their daily duties. This means using the latest technological advances to allow nurses t0 provide excellent patient care at the most efficient level currently available. With nursing informatics, it is often easier to give the proper individualized patient care because vital statistics that nurses require are often right at their fingertips. Nursing informatics is a way of keeping patient information properly organized. 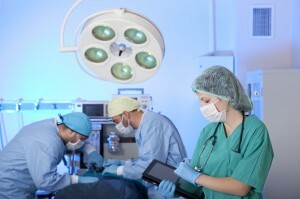 The modern tablet computers and smartphone mobile devices can help nurses keep up to the minute with patient information. Integrated systems allow nurses to make notes that everyone can access so that each change of shift runs smoothly. Time is not wasted with the tedious conveying of information from nurse to nurse. All nurses have the information immediately accessible. The idea is that technology and information should be easily accessible to nurses so that they can do a better job of caring for their patients. Another function of nursing informatics is to help create care plans. It is possible to create care plans by using biometric data collected by the nurse’s technical devices which monitor their patients. Nursing informatics makes use of the information coordinated by technology to help nurses make better decisions. With the help of additional technology, changes to care plans are immediately available to other nurses and members of the care team, making it easier to track a patient’s progress. Since medical informatics covers a very broad spectrum it is important to specialize in a more narow area of the field. Learning how to apply informatics to your duties within a one specialty will make you more valuable within the health care field. A general knowledge of medical informatics is helpful but you must determine your next step by considering your interests. You may also choose to earn a degree in health informatics and then specialize at a later time. Many quality programs exist to help you obtain a master’s degree in health informatics, and advance your knowledge in the field of combining medical information with modern technology. Nursing informatics is a rewarding field as nurses will be better able to provide excellent care for their patients. Many nursing informatics programs require that applicants are registered nurses who possess a nursing degree. Once you earn your degree you will be better equipped to help develop policies and procedures that will enhance your nursing abilities through the use of technology. Knowing the way technology helps increase the accuracy and efficiency of medicine and health care is becoming essential in the industry. Many employers are requiring at least basic training in health informatics so they may continue to provide the best patient care possible.